The first thing many homeowners think of when the idea of selling their home comes up is which Realtor they should use. However, when you decide not to list your home with a real estate agent, this could mean more money in your pocket. Because the housing market is on the rise, this may sound appealing. However, is it the best decision? Ultimately, homeowners would like to see as much profit as possible when they sell a home. With such a large volume of houses going on the market regularly, raising prices isn't reasonable. It's at that point that the idea of paying a sales commission doesn't sound palatable. When you decide to sell a home without a Realtor, you’re cutting out the middleman and keeping the profits for yourself. You must have some business savvy and marketing experience to pull this off effectively, though. Because there's no guarantee of a final sale, those who decide to go this route must be prepared to do a lot of legwork. Those who thought the efforts they took to buy a home were tricky are in for a more significant challenge when it comes to selling. 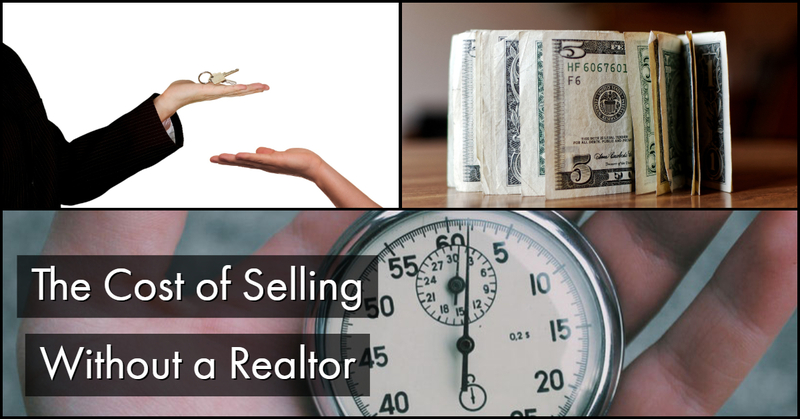 Before taking on this challenge, answer the following questions to help you get a better understanding of the cost of selling without a real estate agent. A property will stay for sale on the market forever if an FSBO doesn't understand the value of their home and prices it too high. Buyers will look at the listing but believe something is wrong with the house or property because it's been sitting on the market for so long. The best way to determine a property's worth is to look at other properties like theirs in the neighborhood, research their final sale prices, and then set a competitive price. Be carfeul if using Zillow - as they do not have all of the listings for many areas. Hiring an appraiser is another way of determining the home's value. Are the Sales and Marketing Tasks Too Much for Me to Handle? Under some circumstances, the FSBO may not be able to complete the sale and must hire a real estate attorney to help finish the process. They will offer advice, as well as review contracts. As with any business venture, there are drawbacks you must consider before selling without a Realtor. For example, if you work full-time, you may not have time to show your home, and this could lead to missing potential sales. Another drawback is that you may feel strange bringing in certain potential buyers, whereas a Realtor will pre-screen and only bring in those who they believe will close a deal. There are benefits to using a Realtor that include the fact that they know which lenders a potential buyer with a low credit score could use. Additionally, they handle the paperwork and provide all the contracts that are legally binding. Some would also argue that using a Realtor to sell your home could also help obtain a higher sale price for homes because they're trying to help off-set their commission. While there are benefits and drawbacks to using a Realtor, the ultimate choice is yours when it comes to selling your house. You must think about how much time you can commit, as well as how comfortable you are with the process. If you feel like you’d rather not work with someone and handle the entire process yourself, then being an FSBO is the right fit. However, if you feel hesitant about any of the areas regarding selling a home, it might be worth consulting with a Realtor or broker before going it alone.